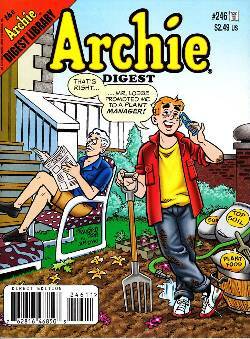 Archie wants to be a "Pool Player," but his job as a swimming pool cleaner leaves him "all wet!" The summer is a real "day at the beach" for Archie - except when that day is rainy, leaving him with only a "Soggy Story" to tell! Plus, other new and classic tales, puzzles, games, and pin-ups!